Gulf access waterfront. Heated pool and spa. Downtown Naples location. Hip, modern style. 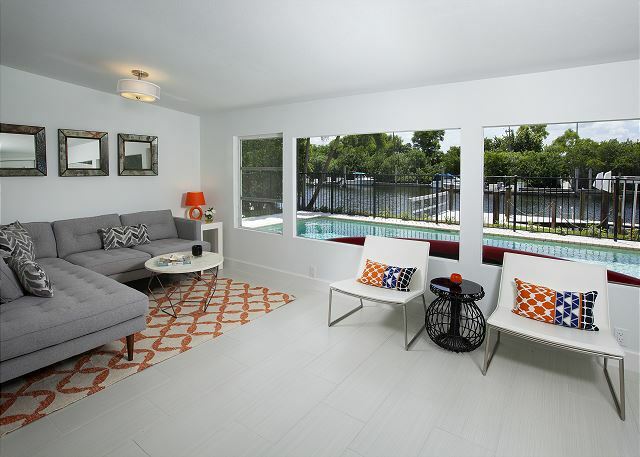 It doesn’t get much better than Harbor Lane Bungalow for a visit to Naples! 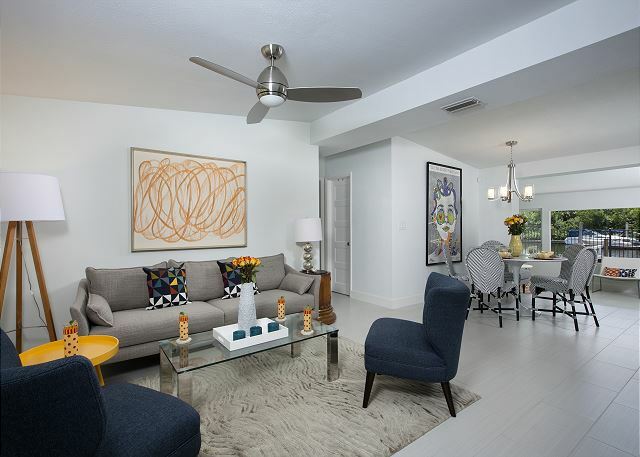 Set on a gulf access canal just 5 minutes from 5th Ave S, the location is super convenient for boating, beaching and exploring the restaurants and shops of historic Olde Naples. Two paddle boards are provided for your use and are a great way to explore the local waterways! The backyard offers a heated pool, hot tub and plenty of places to sit outside and enjoy the sunny waterfront view. Come by boat! 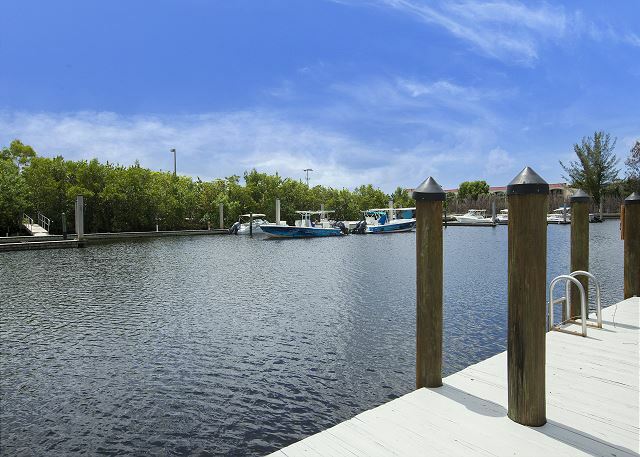 The dock is available for your use and just a few minute boat ride gets you to Tin City and Bayfront's restaurants. 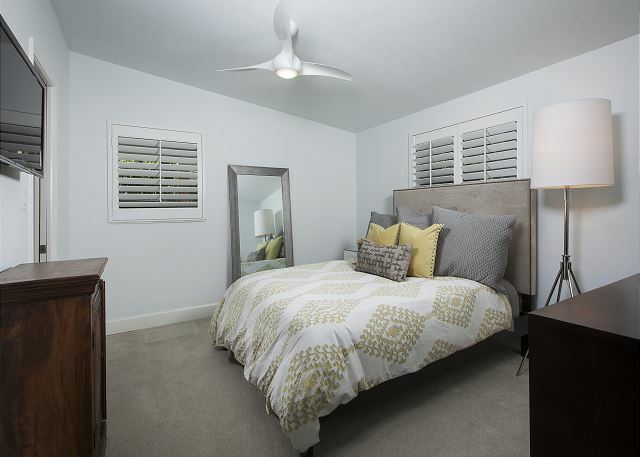 Inside, the house has been completely renovated with modern finishes and hip, stylish accents. 3 bedrooms plus a bonus den area off of the 3rd bedroom sleep 8 people comfortably. 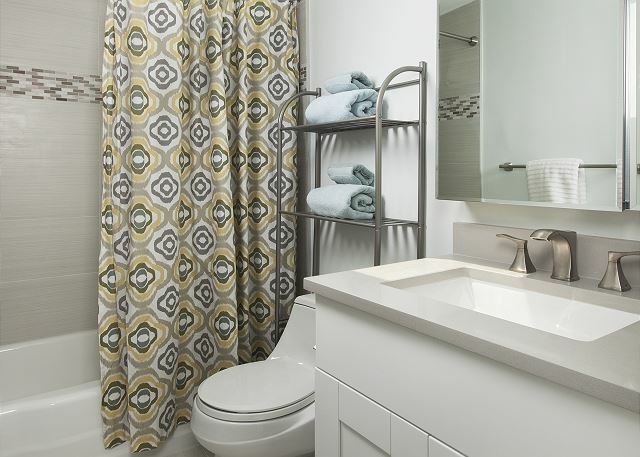 The master bath has a glass enclosed shower and the second bathroom has a shower/tub combo. The main living area is perfect for cocktail hour while the den/sun room overlooking the pool has a comfy sectional couch for relaxing and watching TV. A fully equipped kitchen has everything needed for preparing meals and a laundry room with full size washer and dryer is located off the carport. Overall this was a great rental, and we had a wonderful time staying in this home. It’s close to downtown, yet it was quiet and peaceful. The couple times we had to contact management during our three weeks, they responded immediately and fixed the issue. My only suggestion would be to get a skimmer so the guests can clean the pool the days the pool company is not there. Will definitely rent this home again as it was perfect. Thank you, Brian! You and your family were such a pleasure to host! Glad you had a wonderful vacation in Naples. Thank you for that feedback, the pool skimmer has since been replaced! Hope to host you again in the future! Perfect family or couples retreat! Close to town, yet secluded on the quiet channel. We'll be back! This was a great house for our vacation. 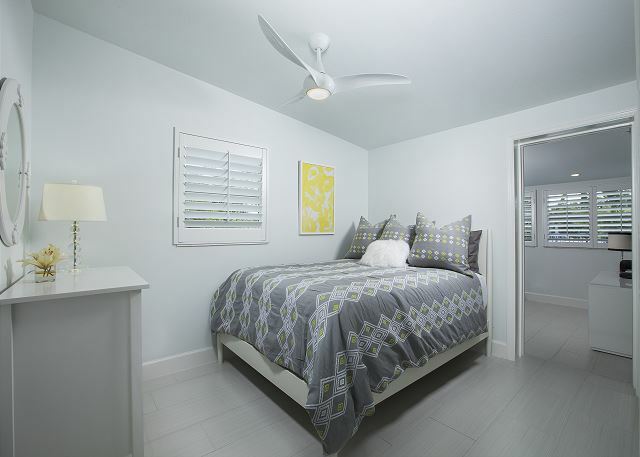 We enjoyed the close proximity to downtown Naples and the beach.